Yulia came from Belarus. She didn’t know what being Jewish meant until she took a Taglit-Birthright Israel trip, supported by Federation, at age 23. But that quickly convinced her to return to the heart of the Negev—to Nitzana. Nitzana’s cutting-edge technology and laidback atmosphere attracts young Jews from around the world along with youths from across Israeli society—religious and secular, Jewish and Bedouin and more. They come to enrich Zionism, the earth and themselves by helping sustain Nitzana’s fruit orchards; by attending its rehabilitation center for children, academic seminars or prep course for prospective olim from the former Soviet Union; by reconnecting with old friends at summer camp; or just by meditating under a peaceful palm tree. Yulia craved adventure. So with a scholarship from Masa Israel Journey, funded in part by The Jewish Agency and the Israeli government, she joined Nitzana Desert Sports Challenge, where she got to dive into her Jewish identity while diving off sand dunes on a dirt bike and scuba diving in the Red Sea. “Where else can you learn Hebrew, plus attend classes on Judaism and history and Jewish culture while having so much fun with Jews from all over the world?” she says. 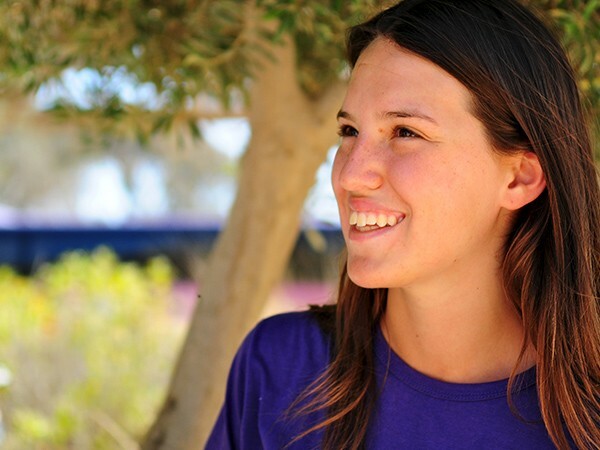 After her six-month program ended, Yulia made aliyah and moved to the Negev, near Nitzana. Transitioning from city girl to full-time desert dweller wasn’t easy, but there’s nowhere she’d rather be. “Until I was 23, I never felt like a Jew,” she says. “In Nitzana, through teachers and staff, I understood how great it is to be proud of your Jewish origin."